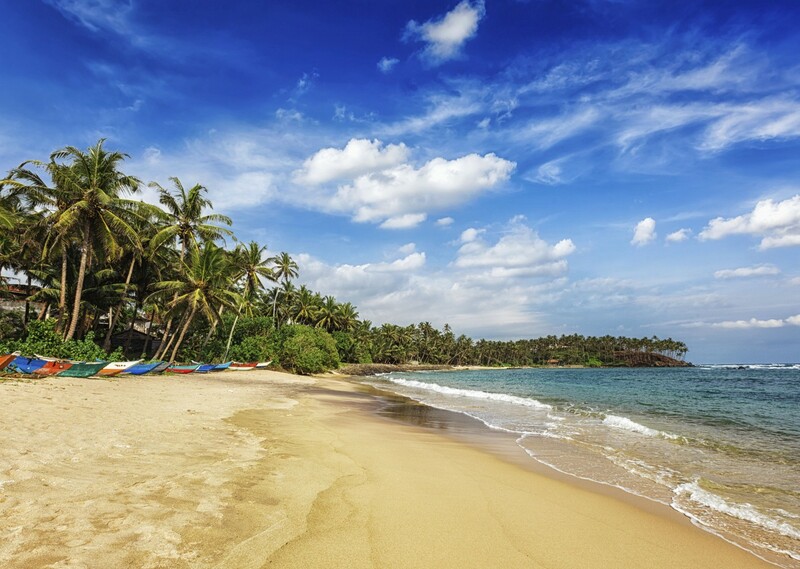 Situated off the coast of India, Sri Lanka is an often overlooked gem in the Indian Ocean. An island of beautiful tropical beaches, spectacular scenery and amazing wildlife. Ancient Buddhist temples rub shoulders with landscaped tea plantations and lush tropical forests entice you to explore them. Our cycling holiday in Sri Lanka starts on the coast at Chillaw. From here we head inland, taking in the UNESCO World Heritage Site of Anuradhapura and Sigiriya. 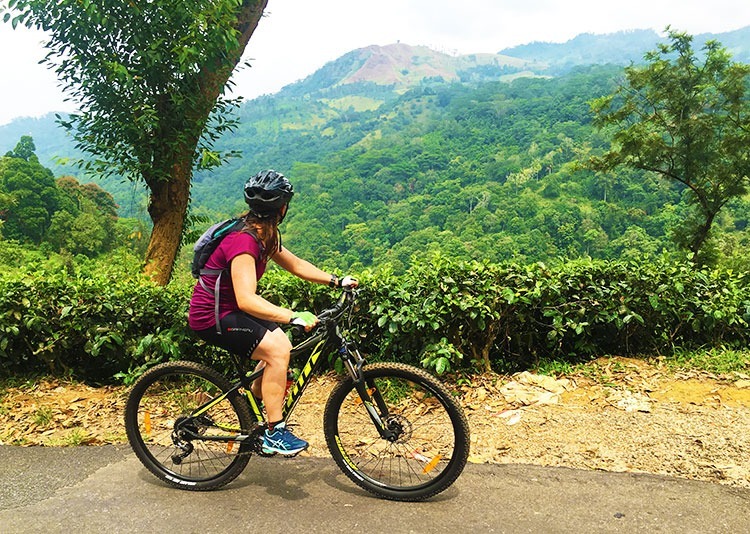 From Habarana we start our ride to the higher reaches, as we head into the lush green central hills and the mountains of the Knuckles to reach Kandy. 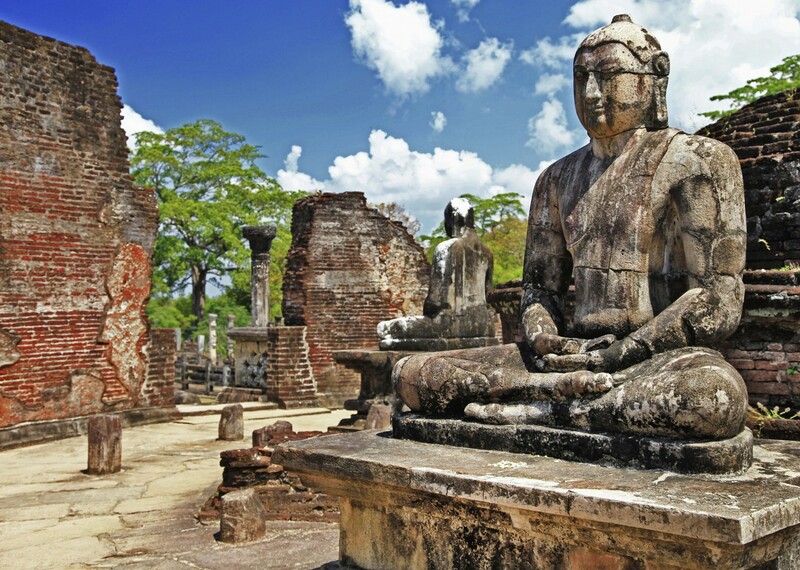 Here we’ll visit one of the most sacred places of Buddhist worship in Sri Lanka, the Temple of the Tooth. 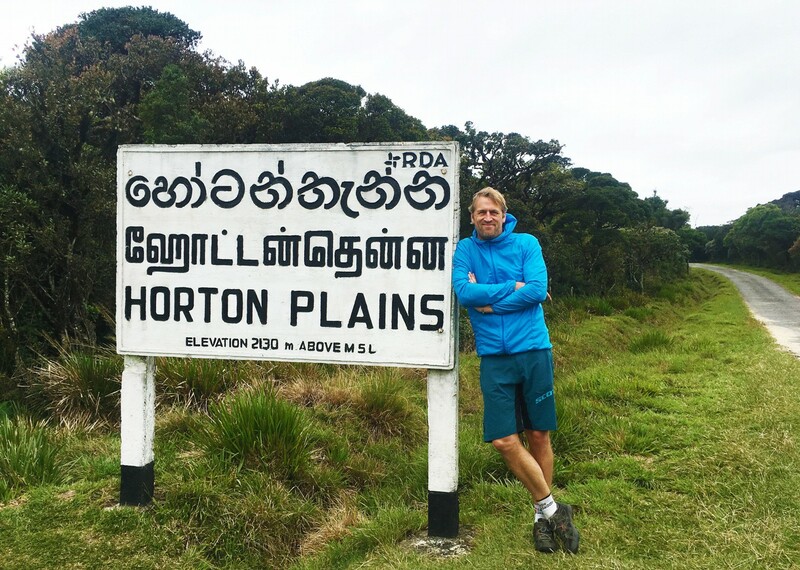 Next is the hill station and colonial splendour of Nuwara Eliya and its world famous tea plantations, before we head downhill through teak and rhododendron forest to Horton Plains. The downward emphasis continues from here on in as we speed to the plains at Katharagama. Riding on the flat is then the order of the day from here on in as we head through the forest to Udawalawe. The National Park here is famous for its wildlife, especially elephants and with this in mind, we spend the next day on a jeep safari. 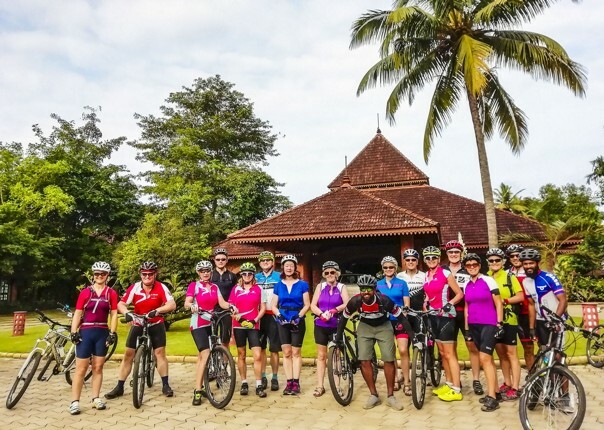 Our final day of this Sri Lanka cycling holiday ends at one of the best stretches of beach, Mirissa and is the perfect place to end our cycling journey. 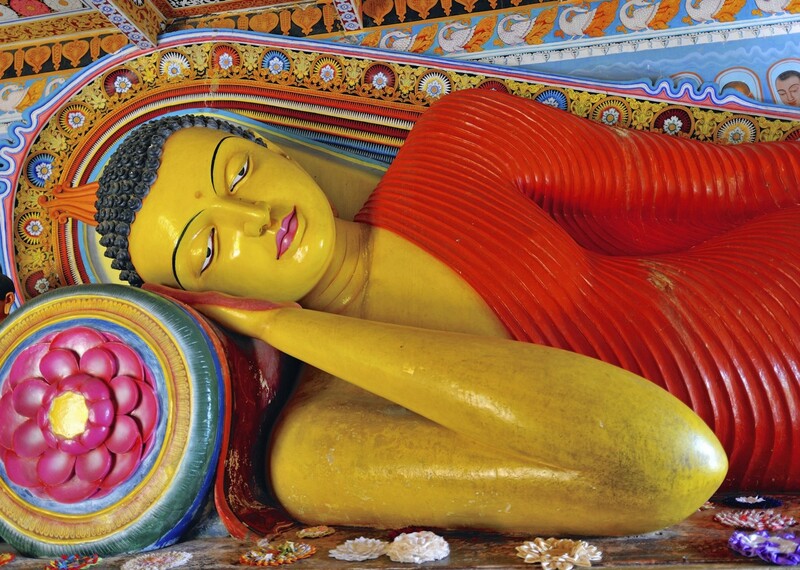 Next day we head to Colombo via the lovely colonial city of Galle, before our flight connections the next day. It was a wonderful holiday. It was a wonderful holiday. The group really gelled and everyone was supportive, helpful and worked as a team – probably the best combination of people that we have been on holiday with. It is a beautiful country and the Sri Lankans are so friendly and obliging. The trip was well organised and the guides did their best to accommodate all the wishes of the team. The wildlife was wonderful and we were very lucky with our safaris – beyond expectation! Really enjoyed the different activities that were put on for us – even the visits to the Temples in the rain! Thoughtful to provide lungies etc for the party to no problems with access to the temples. Enjoyed visit to Theatre in Kandy, to spice farm at Nalanda and tea factory in Nuwara Eliya and the walk about on the last night in Colombo. Enjoyed the visit to the Lion Rock immensely. Had not realised it was so vast or so magnificent! All helped to give us a better idea of the country. Difficult to give a favourite day as so many were so special for different reasons. Safari on the night we went to Habrana was exceptional in that we saw about 150 elephants close at hand. Visit to Sigiriya Rock was so interesting and then the visit to the spice farm and neck massage! Scenery to Kandy and Nuwara Eliya was so varied and visit to tea factory interesting. 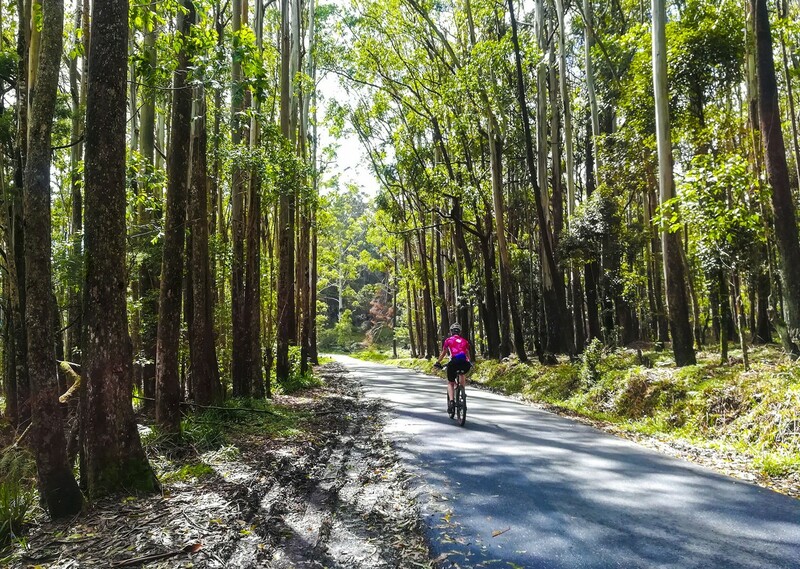 Horton Plain and then the descent through the Eucalyptus forests was beautiful – had to keep stopping just to take in breath-taking views. Safari at Udawalawe was out of this world. We had the privilege of seeing a 3 month old calf suckling from his mother – while some of the herd stood by protectively. It was a very emotional moment as the mother was so patient, calm and watchful! Also all the other variety of wild life – in beautiful hot sunshine! 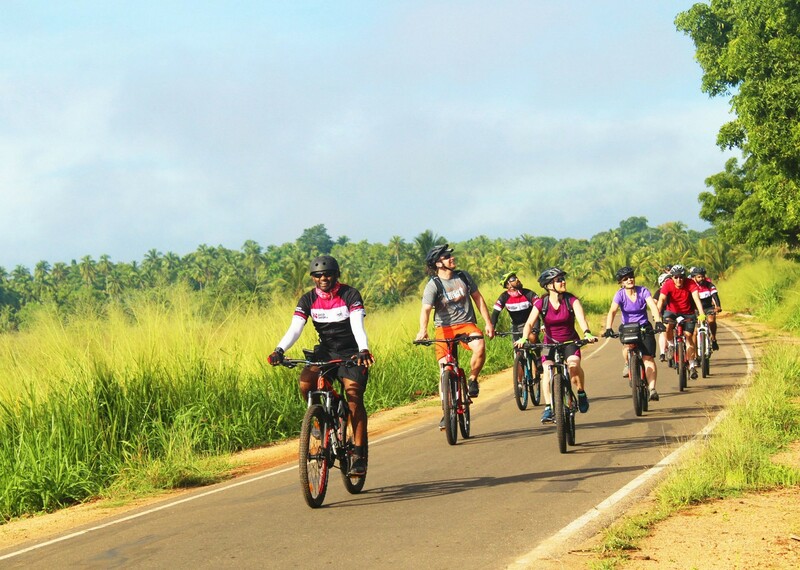 The guides were all very eager for us to enjoy our rides and the whole Sri Lankan experience. Courteous and attentive. Very good value for money. The hotels were better than on previous holidays. The additional activities arranged were really enjoyable and interesting. Also enjoyed the impromptu cookery lesson which we were given at our lunch stop on the way to Tangalle! I Have (recommended Skedaddle) so many times in the past and will continue to do so. 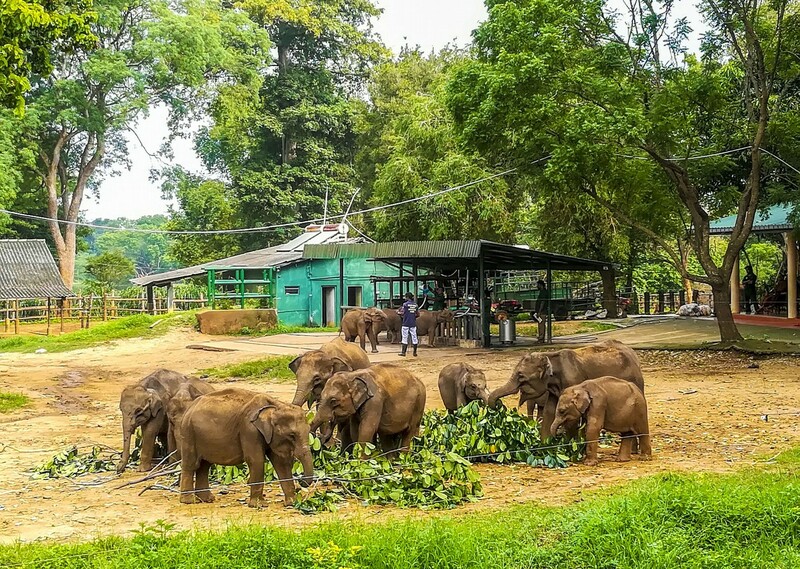 This was a wonderful way to visit Sri Lanka. 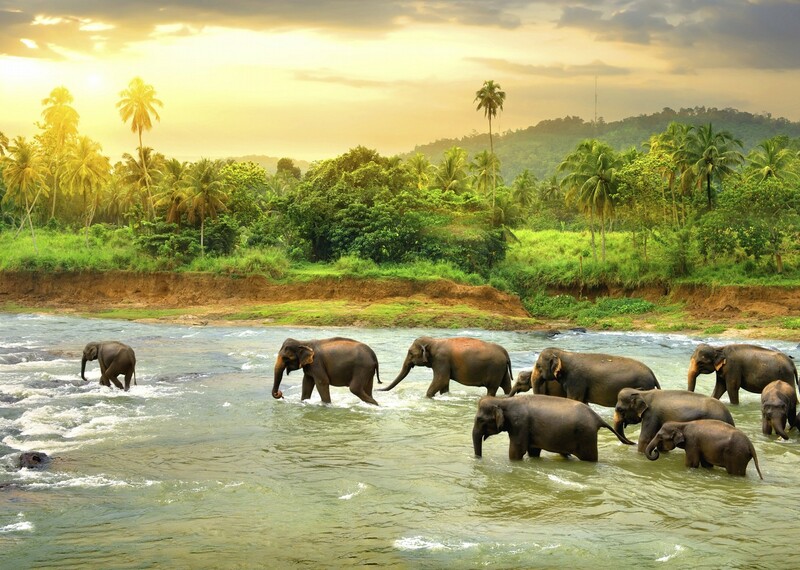 This was a wonderful way to visit Sri Lanka. 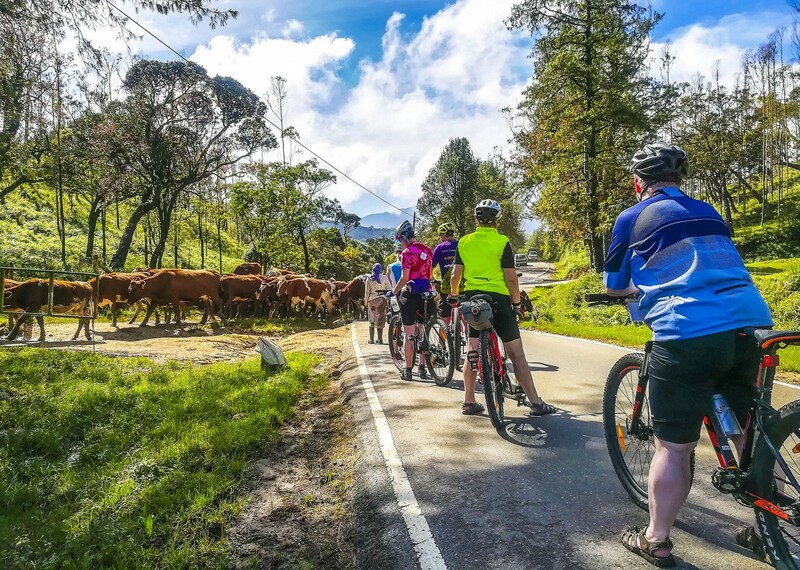 The beautiful route, variety of activity, excellent food and a great opportunity to see what I am sure is the real Sri Lanka. We saw children so pleased to cheer us on, smiling ladies hard working folk. It was certainly a well packed holiday with a great range of activities organised for after the cycling. All hotels were very happy to cook eggs on request and there was plenty of choice. I loved the street food snacks and the traditional fare we were given, coconut water, curd and honey, freshly cut pineapple and mango, fresh bananas to remind us of how they should taste. the food was excellent off the beaten track, but more western in the south. I loved the traditional food. The team were great, from warm ups to support on the ride and the guides and drivers were amazing and so helpful. They were thorough and always there for us all and very friendly. They were very keen to make sure we were all comfortable and happy and nothing was too much trouble for them. They were attentive and looked after the bikes well for us too. The bike did the job well and was comfortable and the right size. 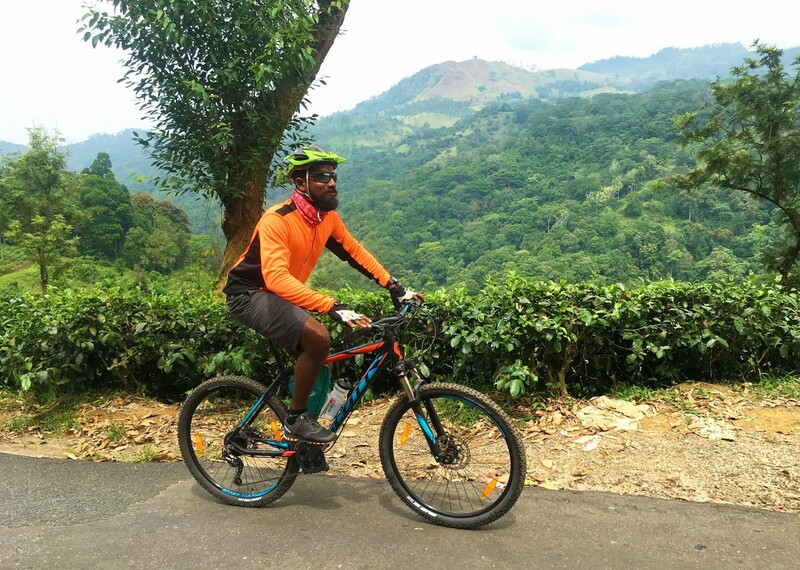 my first tour on a mountain bike and it was certainly good recommendation to use it for this tour…. I was pleased for its solidness on the rough and bumpy roads. Thanks very much for a great time! The trip ran seamlessly, it was really well organised and there was so much food! Particularly enjoyed the picnics/lunches and it was great to be given local treats at some of our stops. My litre of coconut treacle made it home safely and is great on porridge. The scenery was stunning and everyone very friendly. Prateeque and his team excelled themselves at all times, always cheerful, friendly with lots of local knowledge about plants and animals. 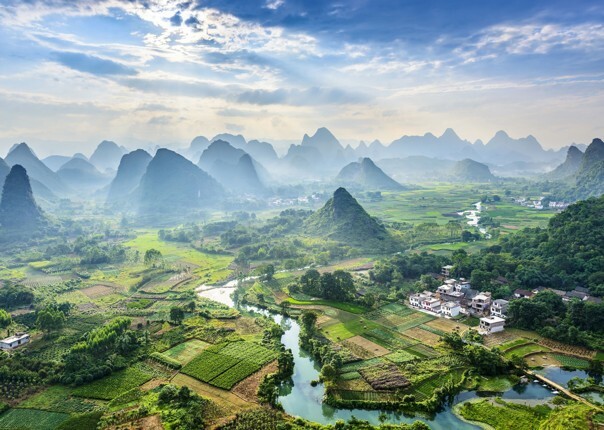 I haven’t stopped telling people how amazing the trip was since I came back. Thanks very much for a great time! 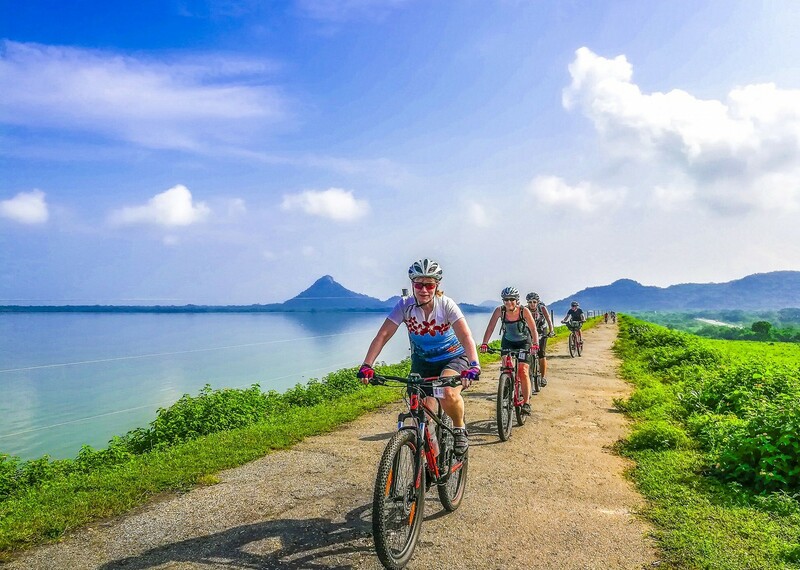 Brilliant introduction to cycling holidays! It’s been a fab trip and I’m pleased to have shared it with great people. 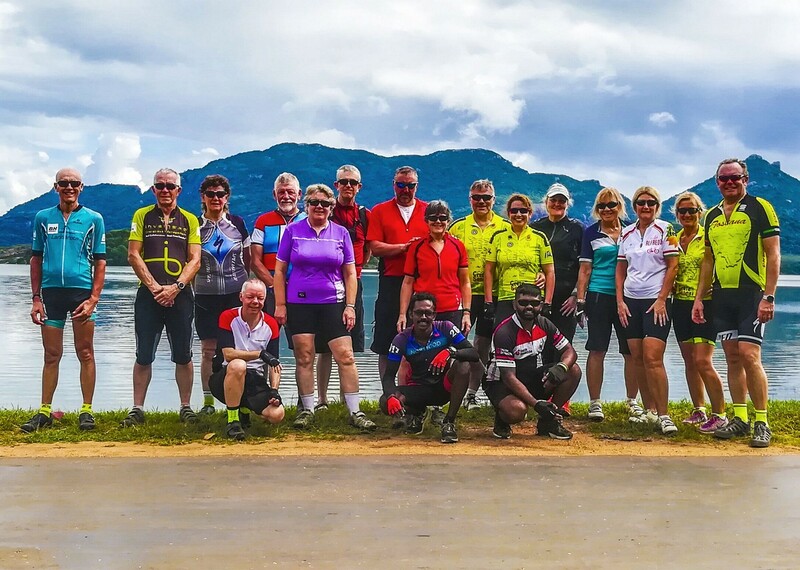 Thanks for a brilliant introduction to Skedaddle and cycling holidays – what a way to explore! I think I might have got the bug and would certainly travel this way again. Very Good! 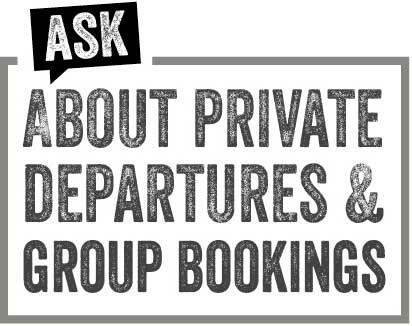 Booking was great – the onsite staff were very well organised. it all ran really smoothly. 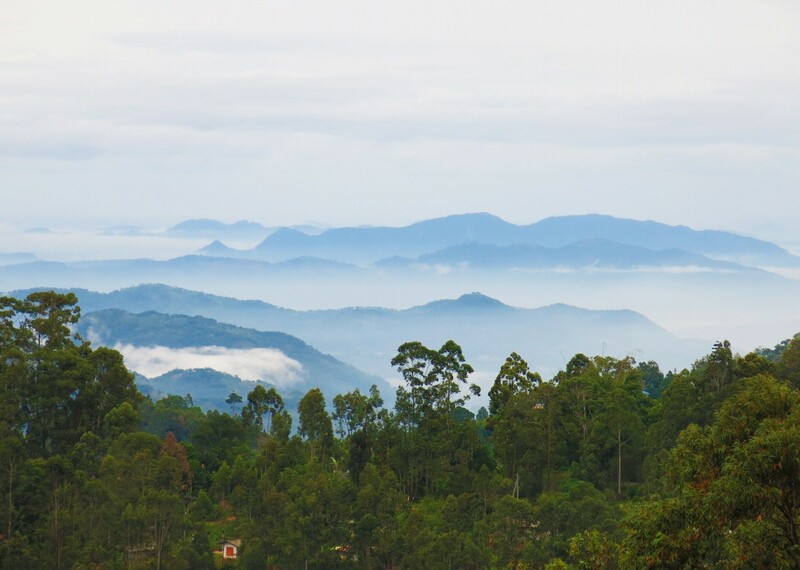 My favourite day was Nalanda to Kandy – despite heavy rain on the way up the final climb – the clouds lifted just as I reached the tea plantation and it was a magical moment with sun on the distant hills. Snacks are important if cycling all day. these were plentiful and varied. Cuisine in Sri Lanka is good and was of high standard everywhere we went. The distances and challenges were well thought out so no day was outrageous. The route allowed us to see the sights not just cycle. The transport / support vehicle provided was excellent – the perfect mix 1 Land Rover + 1 minibus + 1 lorry for bikes. Loved it! Terrific back up by the lovely, friendly team. Tour leader was such a lovely man. Really kind, compassionate, a great cyclist and good company. One of the best we have had. Guides were all funny, kind, happy and really good at their jobs. Our bikes were cleaned and checked daily. We loved them! We are already looking forward to our next Skedaddle holiday. Loved Sri Lankan food – lots of variety! We have done holidays with other companies and enjoyed tham but Skedaddle definitely have the edge – team seems to care more! 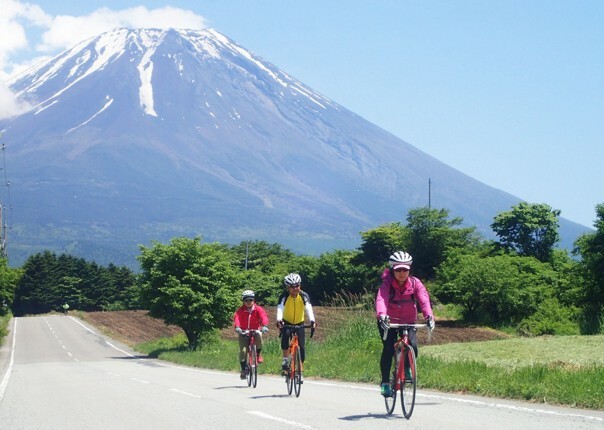 I was impressed with the variety of other activities (apart from cycle) that we experienced! I loved the hilly days ( like climbing a lot!!) but the rest of cycling was also pretty good with lots to see on the way. Plenty of time to stop and take pictures. Great holiday! Sri Lanka was a great holiday for us and we really enjoyed it. It was one of the best groups of people we have been with; nobody complained about the food, weather, beer, country or each other. We had many good days and evenings talking to all of you and I would be very pleased should we find ourselves on another trip together. It was a fabulous trip (soooo wish I was back there) and a huge part of that was all the other Skedaddlers. The bus team were great drivers, attentive and went the extra mile by taking us out at night and hanging around to make sure we were all ok.
Food was excellent! Very varied, clean and tasty. Even too good – I ate too much and put on weight! 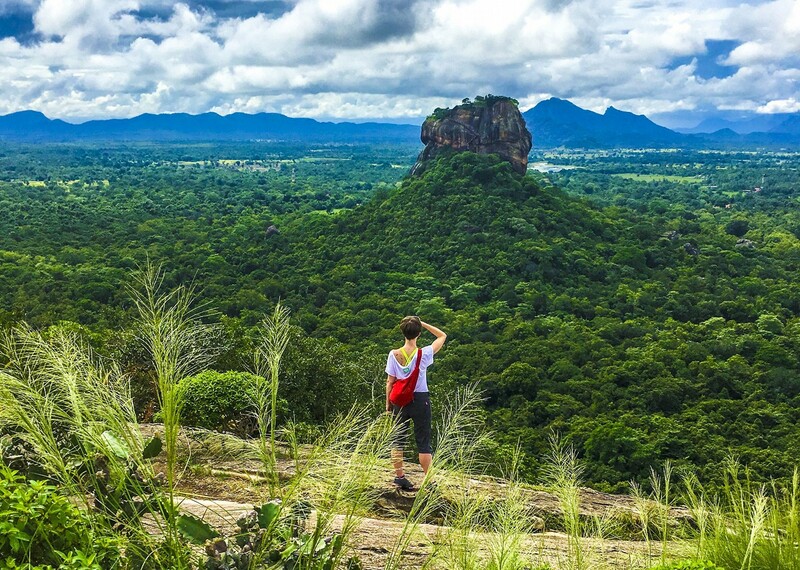 The post Customer Story: Discovering Sri Lanka appeared first on Skedaddle Blog.